On behalf of user “gplv3”, we’re pleased to inform you that X-Plained will host his cemetery library. The library comes with a small collection of objects representing ‘grave furniture’ and memorials packaged as a library. Typical of older European/British Commonwealth style cemeteries. Objects can also be used and distributed separately. 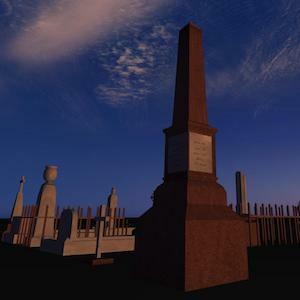 According to the developer “I made these so I could include small rural cemeteries in my own personal scenery. Doubt many will find a use for these but here they are anyway. Mesh and texture source included. Some words from Angelique van Campen. According to Angelique “I’ve not heard before that an airport developer needs his plugin, and thus we as simmer when you load this airport, but it’s not strange to have a cemetery near the airport, right.